Washington’s bipartisan spending bill significantly increases defense funding, a provision that likely spells wider profits for the country’s arms manufacturers. The deal will also remove a yearly overhang on the sector. The deal proposed in the Senate would raise spending caps by about $300 billion over two years and bump the limit on military spending by $80 billion in the current fiscal year and $85 billion in the next year. Defense stocks have climbed as Congress inched closer to a spending agreement, with President Donald Trump insistent that any bill includes more funding for the armed forces. Raytheon — maker of the famed Tomahawk Missile — has easily outperformed the market over the past year, with the company’s stock up 38 percent versus the S&P 500’s 17 percent climb. Of note, the stock is up 9 percent in 2018 against the S&P’s 0.3 percent. 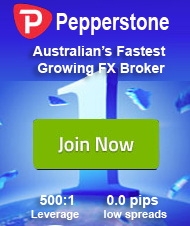 Shares of Raytheon fell 2.7 percent Thursday. In the company’s earnings call in January, Raytheon Chairman and CEO Thomas Kennedy explicitly highlighted Washington’s military spending. Other defense companies such as Lockheed Martin and General Dynamics — which manufactures everything from tanks to nuclear-powered submarines — have also benefited amid talks of augmented military spend. Those stocks are up 7.6 percent and 5.7 percent respectively in 2018 alone. 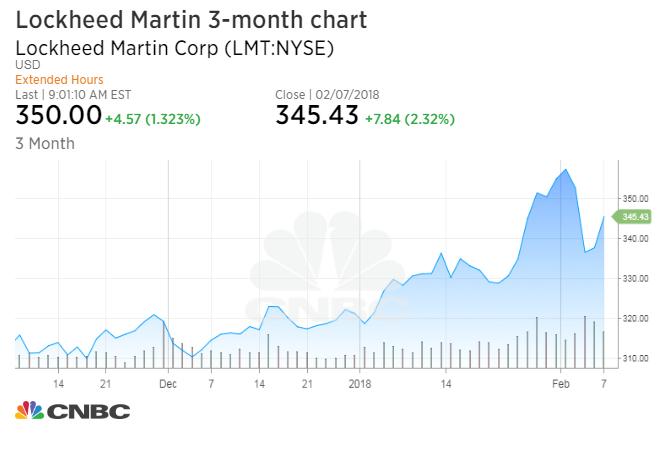 Lockheed Martin stock fell 3.2 percent Thursday following a 2.3 percent pop the prior day as news of the deal came out. But Cowen’s Schweizer isn’t the only one who sees an opportunity in aerospace and defense. “When the defense contractors get slammed by a big sell-off, they should be right at the top, No. 1, of your shopping list because the things people are worried about — like the Fed possibly getting too aggressive — matter a lot less to the defense industry than, say, to the industrials,” explained CNBC’s Jim Cramer on Wednesday. This week’s widespread sell-off in equities presents a compelling buying opportunity in these defense stocks, Cramer added. Disclosure: Cramer’s charitable trust owns shares of Raytheon.